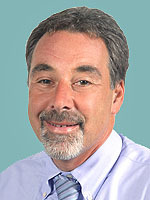 Dr. Levine is a graduate of Tufts Medical School, Boston, MA and completed his residency with Tufts NEMC. Dr. Levine completed his cardiology fellowship at Umass Medical Center. He is a member of the American College of Cardiology and the American Society of Nuclear Medicine. Dr. Levine is board certified in Internal Medicine and in the sub-specialty of Cardiology by the American Board of Internal Medicine.